It’s time to enjoy the Summer before things are official at the end of the month! Get out and have a great time with family and friends. Soak in the sunshine. We’ve had so much stormy, rainy, snowy weather around North America that it’s time to get out and smell the flowers. Also note that we’re still in the middle of Mercury Retrograde in Gemini until June 11, 2015. So, be kind to your loved ones and coworkers in your communications, and patient with your electronics if they’re seemingly misbehaving. Also know that you can harness the energy in a powerful way, but it’s necessary to be thoughtful about your intended outcome before taking action. 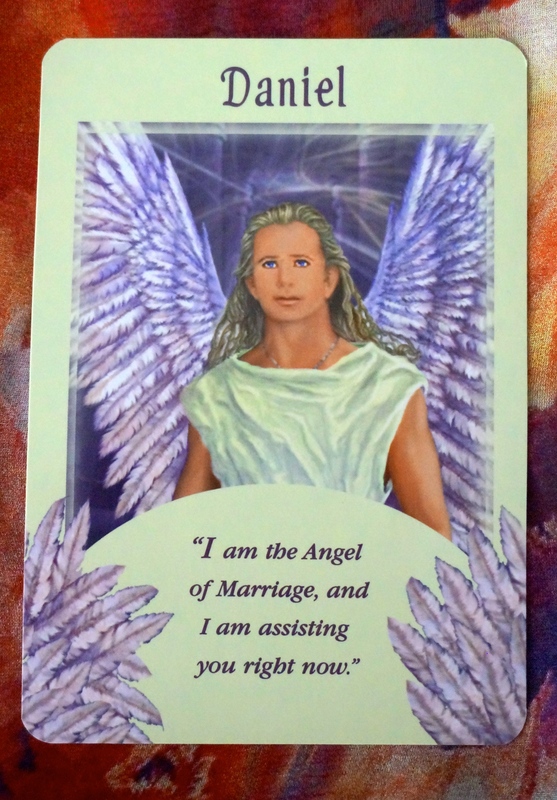 The Messages from Your Angels deck is a 44-card oracle deck designed by Doreen Virtue. If you’re interested in angels, or need some help form the Universe, try calling on the Angel who was channeled for your Sun sign this month. The Angels can help, but you have to ask, and ask for your heart’s true desire. 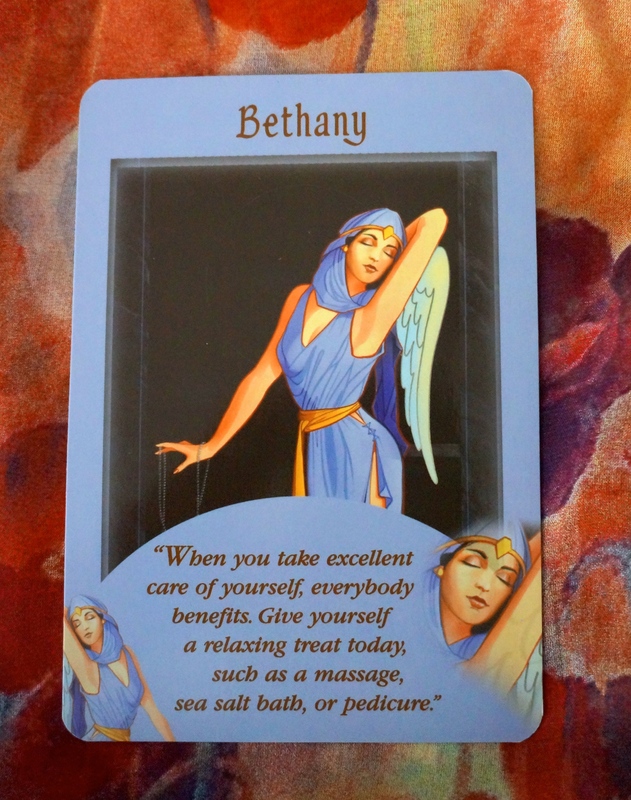 Also know that you don’t have to hole up like a hermit to have good self care. Do what feeds your soul. Buy a bunch of hyacinths already! Gemini, you’re grounded this month, connected to the great Earth Mother Gaia. If you feel that connection slip, stand barefoot and imagine reviving that connection to Mother Earth and your root chakra at the base of your spine. You are getting ready for great things! 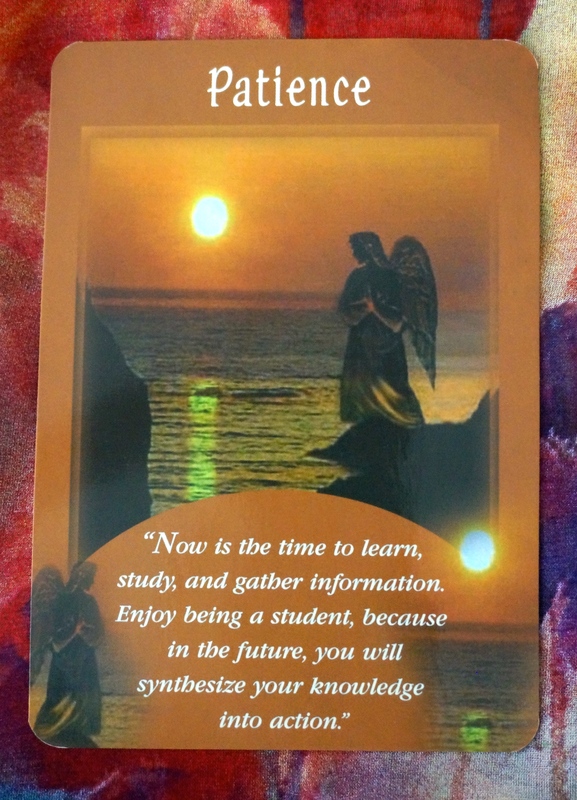 It’s time to learn and to take in information. Enjoy the process and know that it’s okay to move ahead when you’re ready from being a student to the professional in what drives you—maybe you’ve taken up cooking, or a new hobby, or even a new job. Know that you’ll get the right information sent to you to move forward this month. If you’re ready, you can move ahead beginning June 12th after Mercury Retrograde in Gemini is complete; or you can luxuriate in the new things you’re learning throughout the month. Hi Cancer! You, like Gemini are ready for something new, something fun. Merlin will help you find the solution when it seems like there is none available. Take a little time to do due diligence and do your homework. Get an expert opinion on your home taxes or anything finance-related by seeing your accountant or other professional. The time is ripe. The time is fertile. You just need that missing bit of information to get the prize. Not sure where to find it? If you’re looking for romance, change up where you look for a mate. Try that speed dating event your Aunt Myrtle harps at you to attend, or go to a wine tasting with your best friend. Find a fun place to people-watch and set up shop, and bring your lucky friend with you. You’re ready for some magic! Leo, you’re on a high—Mercury retrograde cannot touch you this month. Whatever it is that you’ve wanted and been striving for, now is the time to grab it. All of the stars will seem to be in alignment. And if you’re skeptical, watch Wayne Dyer’s “The Shift” — it’s time for some magic to happen. Partnered with your success this month is a new attitude or new learning in your spiritual or religious life. If you can accept this Shift, you’ll move faster and much more quickly towards your desires in the future. It all adds up, little by little. 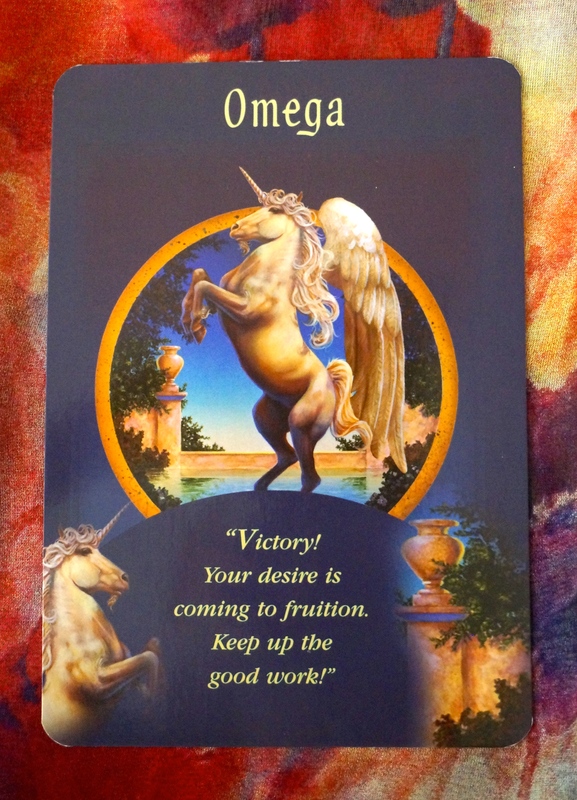 Like the elusive unicorn, you will find fulfillment. Enjoy the month, enjoy the high energy, and share it with those who are dear to you. Congratulations on your success. It’s time to reassess your health, diet, and fitness Virgo. 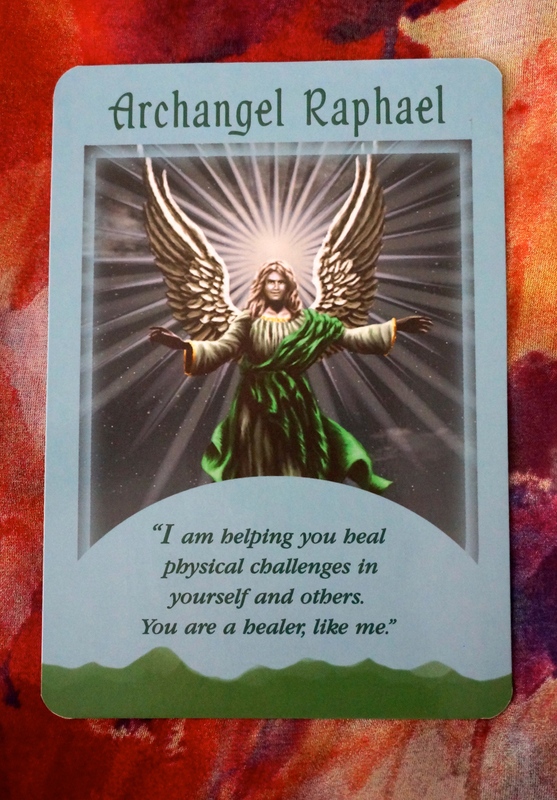 You’re being blessed with support from Archangel Raphael. If you’ve put off that dentist, physical exam, mammogram, or eye appointment, go schedule it ASAP. It’s time to put preventative measures in place to stay healthy. Look around you for all of the ways your life might need healing. Do you need to honor yourself with forgiveness of a person or situation? 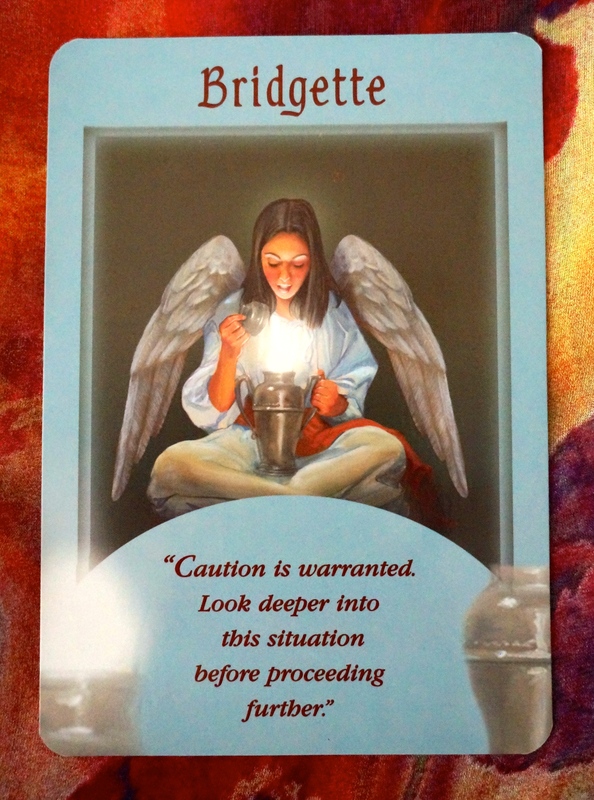 In letting it go to the Angels, you allow your life to open up to get the life and love that you need. If your heart hurts, share those emerges one last time and let them go. Know that you did the best you could, and that you don’t have to hold on to things. People will be judged and held to their karma regardless of whether you let yourself remain hurt. Louise Hay’s book Heal Your Body is also a good resource for you this month. It’s time for vibrant happiness, health, and love. And Raphael is here to bring it to you! What is your biggest hope, your biggest dream that you haven’t dared spoken aloud? Or maybe you’ve talked about it to death and feel like the energy is dead and there’s no way through to your goal. It’s time to make room for those dreams to come true. You’re on the beginning of a new road. In order to take you into realms of higher vibration where it’s possible for dreams to come true, try this simple exercise: revisualization. At the end of every day, go through and imagine the ideal outcome for any situation that you wish had gone differently. For example, maybe you wish you had done a better job leading a meeting at work. You were late and forgot your agenda, to boot. Now—imagine yourself prepared for the meeting, with your agenda in hand, and getting to the room 5 minutes early. You chat with a friend or colleague, and your meeting stays on target. People have thoughtful things to say and you’re able to end the meeting on time. This can work in any part of your life, in any situation. Like when you have a recurring nightmare, you can “reset” the energy so that it turns into a dream. Call in Adriana as you do this exercise for an extra boost—she wants to help you, and let you know that you are divinely loved. If there’s any loved one, person, or pet that you’re concerned about, know that all is well. Opal is really a comforting angel. She offers her Motherhood to you to lean on, for support. Sometimes it’s wonderful to just have a little help for a change. Call on Opal and she’s at the fore, ready to assist. Know that you may feel a little funny this month, Scorpio. You’ve gone through a lot of energy shift to clear out the old and negative energy. Now, your chakras are gong to open and align in a more positive way. Nurture yourself through this process, and if you feel like you need to see a medical professional, know that you will be supported. 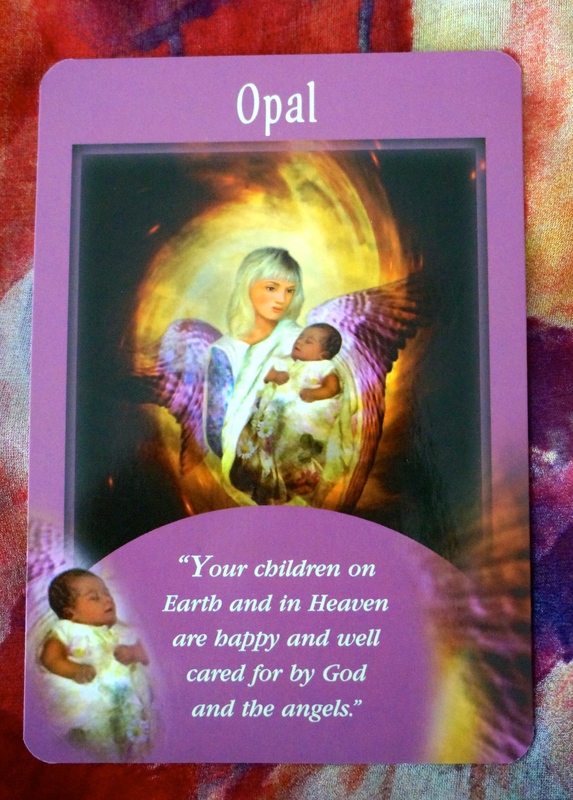 Opal’s message is that, “All is well.” It’s time to relax and check in with friends. It’s time to remember that you’re loved. If you want a new romance/to up the romance, be sure to let the other person do something kind for you. You might need to lead by example, and enjoy making a home cooked meal, having a surprise picnic, or planning a special date. 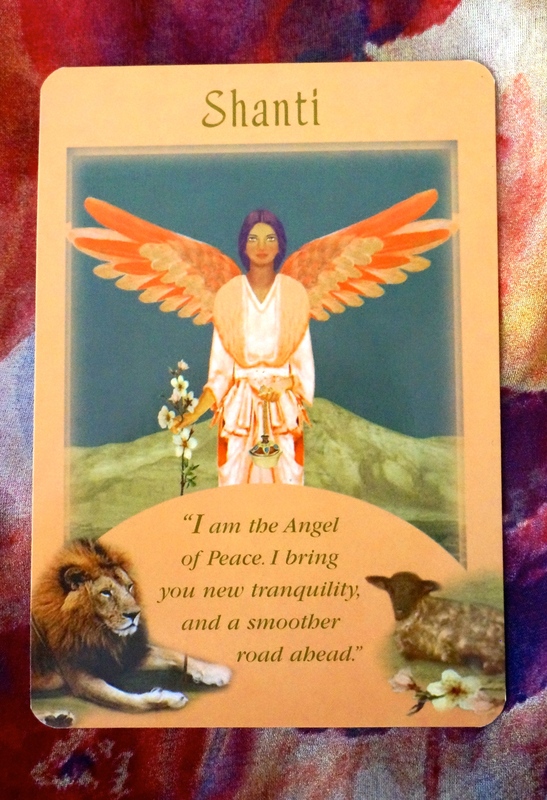 Shanti is an Angel of rejuvenation, passion, and peace. How to roll all these together in a life? Your troubles are on their way out, so you should expect a positive resolution to problems that weigh on your mind. Turn to the natural world for a sense of rejuvenation. Walk a shelter dog, sit at the foot of a waterfall, take a swim. Climb up to the top of Mount Bonnell and howl at the moon. It’s time to start creating the rituals that give you a sense of closure and feel liberating. Maybe it’s doing a big spring cleaning and donating excess items. The point is, Sagittarius, you need to make room in your life for wonderful new things to come in. If you have a big stack of books or magazines next to your bed, you’re telling the Angels you want a relationship with the books and not with a sweetie to fill the bed beside you. It’s time to clean your surroundings, either mentally or physically and watch the changes come into your life. And buying a lottery ticket after you finish Summer cleaning wouldn’t hurt, either! 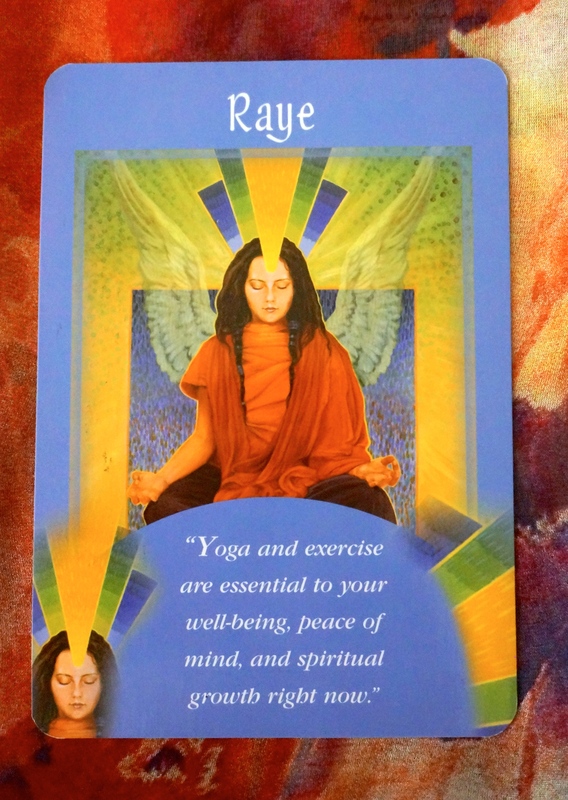 Capricorn, Raye asks you to be aware of your roles in interactions with others through scanning your body. If you’re not sure a situation will honor your self and your life situation—check your gut (aka solar plexus) and your throat (larynx/pharynx). Tension in either of these two places is an indicator that things are not actually going the way you want. The good news is, by being aware, you’re changing what will come in. You can shuck off any role you’ve taken on and being anew. If you’re working on your physical body this month, do what you can to nurture it—go out each morning and do a “sun salutation” where you hold up your arms to the rising sun. Take in that yogic energy. And know, that everything will happen in the right time, and in the right season. Serephina is full of sparkle, of glowing pink light. There’s no angel that’s more full of love and giddiness, but in a stable, positive way. If you want a mate or to extend your family (or family of choice), now is the time to get your fertility checked out, or look at foster care sites, or adopt a pet from your local Humane society. You have so much love in your heart that it could just burst! Please remember to share this special gift by radiating that love you have for your family or friends to the world. You can bring up the vibration of the world with your positive thoughts and actions. If you’re single, this is the right season to start looking for a mate. Go and get a great haircut, a new outfit, and you’ll be absolutely irresistible! If you’re feeling scared, down, or frustrated by this process of enlarging your tribe, know that you have angel’s wings upon your back. It is time. 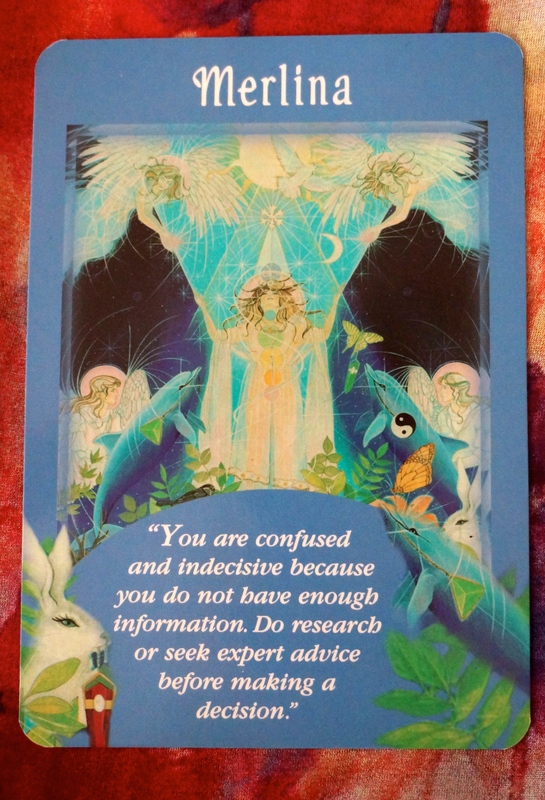 Let go of your pre-conceived notions and let the Angels surprise you. This month it’s time to balance your heart and your spirit, Pisces. Take a little time to brainstorm how you’d like that to come about. You could make a pros and cons list, or even SWOT it. Or make a collage. There’s no wrong way to do it with Daniel at your back. This is a month of new unions, new relationships, and confirmation of established ones. Daniel is the Angel of Marriage. Call on him for assistance in your romantic relationships. He is a reminder that you don’t have to walk alone here on earth. You’re loved and deserve to be united with one of your soul mates while you’re here on this hurting ball of carbon called Earth. You’re being supported by the powerful mother energy of Yvonne this month, Aries. It’s time to embrace your gentle side. 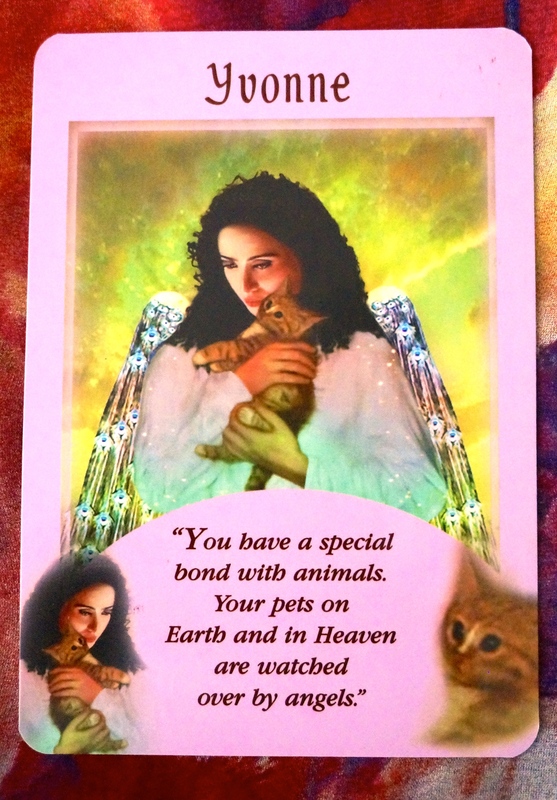 Yvonne will bring any pets or even birds and squirrels in your yard in closer alignment with you. Expect a neighborhood cat to approach you if you take a daily walk. This month, let your soft side show. 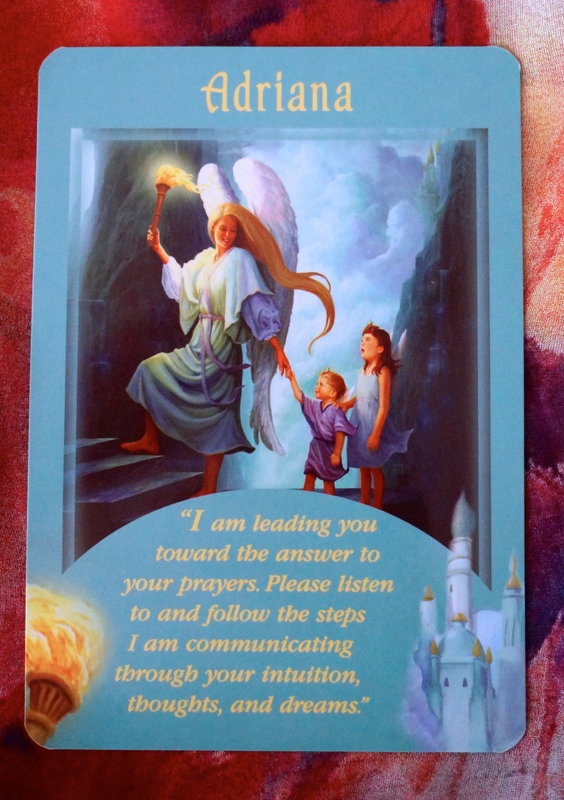 If there’s a situation that’s been bothering you, know that you have the divine love and assistance of Yvonne to help you through it. It’s okay to feel afraid or vulnerable, especially as you’re trying on new roles—whether that be at home as a stepparent or grandparent, or at work dealing with new duties. Think about if there’s a kinder, gentler way to interact with others, especially in the first third of the month while Mercury Retrograde is still in effect. You’re the one who is going to bring up the energy of those around you—you are the leader, leading by example. Know that you will be followed in how you do things, how you live in the world—by your spouse, your kids, your family, or even your coworkers. So you have the chance to make a major shift in the energy around you, all without having to do that spring cleaning. Lucky Aries! This June, Bridgette is your supporting angel, Taurus. Be sure to call on her for anything you would like to make real. Honor your voice this month and don’t tamp down those dreams of yours. Give your voice room to take root and grow, just like you would a tree. Be sure to think through any situation where you’ll be cutting off relationships this month. Make sure that you don’t get lost in your own head and instead turn to a loved one or friend for support as you navigate the waters ahead. Know that Bridgette is holding you, supporting you, in the light. It’s time that you remembered that YOU are filled with divine, joyous LIGHT! Wishing you the happiest of Junes filled with days of weddings, graduations, passion, and friendship! 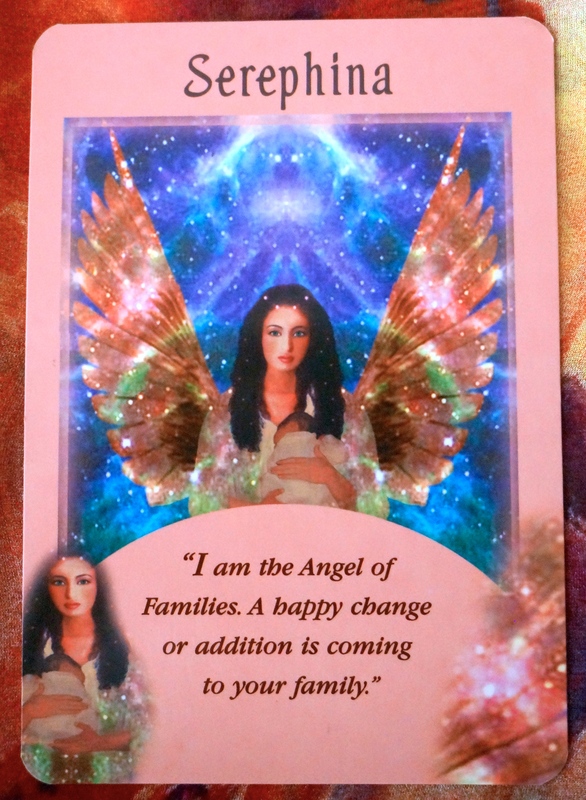 This entry was posted in Tarot/Horoscope and tagged angels, Austin, Christine, Christine Linial, horoscope, oracle, psychic, tarot on May 29, 2015 by christinethepsychic.